2.09 MB, 1920x1080px, 8.5 secs. 31.47 MB, 1920x1080px, 8.5 secs. 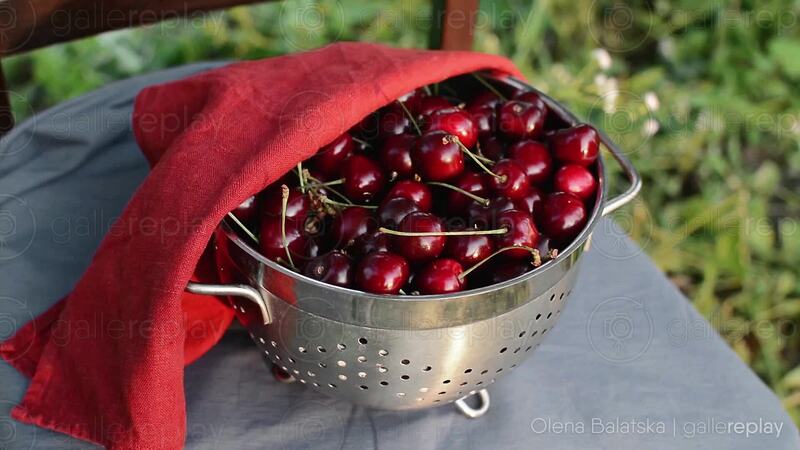 Light rays flicker on a bowl of freshly picked cherries in a colander outdoors.